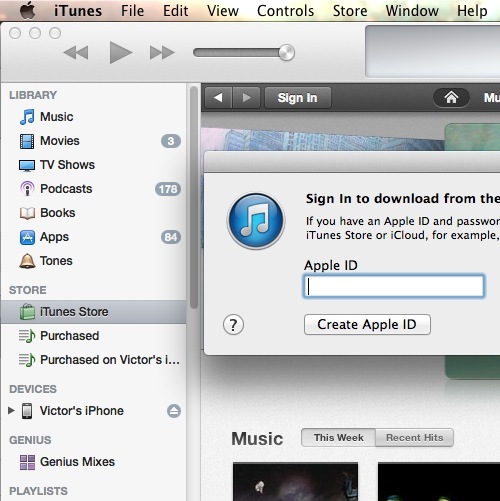 Let’s look at how to quickly setup an Apple account within iTunes. After opening iTunes, click on the iTunes Store in the sidebar. If the sidebar is not visible, make sure the Show Sidebar option is enabled in the View menu at the top of your screen. Click on the Sign In button at the top left. 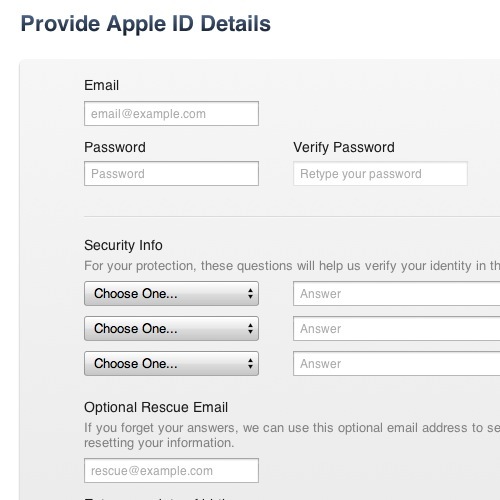 Since we want to setup an account, we will click on Create Apple ID. Now it’s only a question of reading and agreeing with the terms and conditions, filling in your user information, and entering your credit card info. This is a necessary step for having an Apple account, because although you will not be billed in any way for signing up, you need a way to purchase any items in the iTunes store. Once the sign-up is complete you must activate or verify your account by clicking on the link you will receive by email. With that completed, you may sign in via the iTunes Store page and begin using your account. Note that this Apple ID can also be used with the Mac Store on the Apple website, as well as for iCloud and other Apple services. Leave a comment below or contact us by email. This was a HowTech.tv tutorial, thanks for watching!